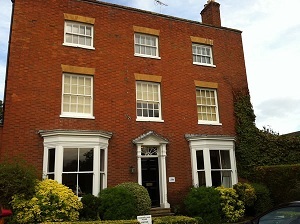 Specialist online marketing agency Absolute Internet Marketing moves into new offices in Market Harborough. With modern technological developments enabling businesses to operate almost anywhere Absolute Internet Marketing started out life from the owner’s home; in a converted attic. Established in March 2006, Absolute has steadily grown to the stage where it could no longer continue as a home run operation. With more client accounts being secured it was a natural progression for the company to seek commercial office space, which now gives the business the ability to continue to grow and scale up in an instant. Although the company hasn’t moved far, 2 miles down the road in fact. With clients based across the UK, from Kent to Scotland, it’s location in the East Midlands (Market Harborough, Leicestershire) is a good area to be located, especially with its direct rail service to London’s St Pancras. Absolute’s Managing Director Simon Colley commented, “I had been running my business from home for 5 years, so moving to a commercial office was both exciting and a little strange, as it’s been a while since I worked in an office that isn’t attached to my home. But the move was essential, and the new office is in a beautiful Georgian building located just on the outskirts of Market Harborough, which is perfect as my home is a 5 minute drive away”. Colley continued, “The business is entering an interesting phase, in the past the majority of my clients operated in the travel sector, due to me working in that industry for 15 years previous to starting my own business. But with Absolute becoming more established, and it being able to provide its search marketing services across any industry, the split between travel and non travel client accounts is now almost 50/50, with Absolute working with a more diverse range of clients in varying sectors”. Absolute is a friendly internet marketing agency that excels in delivering exceptional service and results, centrally located (Leicestershire), it works locally and nationally with a wide range of clients providing fully managed services for search engine optimisation and pay per click marketing.